I am a traveler, music écouteur, designer, and builder of things I design (see previous trait). When not traveling, I am listening to music, designing, and building things I design (see previous activity). A global population of around 7 billion people means that the genre Noise Pop must have a healthy number of followers, and it would also seem likely that the Noise Pop duo, Gauntlet Hair, has a number of people who are fans of their music (there may even be one or two people who like their name!, crazy I know). So, what is Noise Pop, who are Gauntlet Hair and why should you listen to their latest release, Stills? Noise Pop is actually an easy genre to describe, its not quite noisy pop, it’s actually more pop with noise: Gauntlet Hair are members Craig Nice and Andy Rauworth who enjoy making pop tracks and mixing noise into them; and finally you should also check out their new album because it not only contains some catchy songs with pop, but they all have interesting noise mixed into them! Listening to Stills is not entirely different than walking by a construction site with one earbud in playing some indie pop, while a black sedan passes by with tinted windows blaring out some heavy bass from a house track. Walk by ten different construction sites with ten different tracks loaded on your i-Cell and wait long enough for ten tricked out cars and you’ve successfully recreated the entire album (huge congrats on that by the way). With track names such as “Spew”, “Bad Apple” and “Waste Your Art” there’s a definite sense of melancholy to the whole production. However, when you really get into the bare bones of the tracks and begin to hear some of the musicality of the album this woe feels like a fabrication. Gauntlet Hair are not a couple of depressed musicians who moved to Colorado simply because they wanted to recreationally ‘use’, no they are actually quite talented and have yet to figure out how to tame their noise down into something excellent. Their debut album was released in 2011 and had some interesting heavier tracks, Stills tunes thing up and creates a catchier more compelling album. Perhaps 2015 will be their third-times-a-charm album, until then enjoy the noise. There’s already no doubt that the Pet Shop Boys have firmed up a place for themselves in pop and electronic music history. With a career that spans three decades and contains several Platinum and Gold albums it’s not really a question of wether their new album is good, but rather one of how good. Electric is the twelfth studio album by the English duo and their first to be released on their own label, x2. With this new album the Pet Shop Boys have broken the three year cycle of releasing albums (their past 8 albums) and brought back the energy that was lacking in their last release, Elysium from 2012. The entire album is essentially a complete 49:12 dance set for any electronic club, something that the Boys were shooting for. Though the Pet Shop Boys have strayed through their genre over the years with moods and tempo, they have always stayed true to the electronic music that they began creating in the early 80s. This new album is easily recognizable as a Pet Shop Boys record and with the great tempo and dance mixes will introduce them to a younger generation of electronic devotees, an impressive feat for an album that was recorded and released in less then a year. As with a lot of electronic music it’s likely that this album will feel out of place in the home or car, unless you are already an electronic aficionado. However, the album truly has something for everyone, take for example their excellent cover of Bruce Springsteen’s “The Last to Die”. Have you ever heard of anything that The Boss is part of, not to be appealing to everyone who breathes oxygen? Wouldn’t it be magnificent if the two bands actually got together for some collaboration? If you are looking for a good electronic album to get your body moving, but one that is not quite as mainstream (and already overplayed) as Daft Punk’s Random Access Memories, than Electronic is for you. And if you are under 20, it’s likely a lot of your friends haven’t even heard of the ‘cool old band the Pet Shop Boys, how retro, those guys could like, be our granparents’. Van Dyke Parks has not released an album in so long and is so old, that all of his fans are either dead or have long since moved on. His new album, Songs Cycled (Bella Union), is a sort of continuation from his last original work written 18 years ago, Songs Cycle. Despite a very consistent style and specific vision for this new work, what we actually hear sounds like a lonesome old man looking to make friends with his outdated vaudevillian act. The album is fully loaded with witty and political lyrics, along with both wry and sentimental melodies, unmistakably a classic Van Dyke Parks composition. The only real intriguing aspect of the album is the line up of critiques waiting to praise his ‘theatrical genius’ and ‘re-inovation of the americana music genre’. However, having a formidable career that deserves praise, does not mean you get to crap gold records for the rest of your life. Songs Cycled is really a collection of musical pieces that Parks has been either sitting on or thinking about over the years. It comes closer to existing as an album of b-sides from the past 40 plus years of his musical career, replete with covers, re-recordings and some new songs. Even though the album sounds like a nostalgic rehashing of Parks style it is really his strict opinion of current musical themes and values. A sort of op-ed piece to what he believes is the true path music should be following, a path however, most people wouldn’t even give the time of day to support. In the end what Van Dyke Parks (an very impressive name, especially as its his birth name) should be focusing his energies on are some of the epic collaborations he has been involved with over the past years, such as helping Joanna Newsom on her acclaimed album Ys and hanging out with bands like Fleet Foxes and Grizzly Bear. He currently has a handful of tour dates scheduled in both Europe and the States however, I wouldn’t hold your breath on Parks traveling your way anytime soon, it would likely interfere with his afternoon nap schedule. There’s a reason why The Pastels have been performing together since 1981 and still haven’t ‘made it’ in the conventional sense. It’s not that their style hasn’t evolved over the three decades that they have been performing, rather it’s that they’ve always (un)successfully existed on the edge of discovery, navigating just on the border of the musical styles that evolved over the years since their beginnings, sort of playing it safe while claiming to be revolutionary. You can almost hear the cutting edge of something through several of their tracks from each album and yet it quickly fades as the tracks progress to something utterly ordinary, it’s as though fear of failure has continually kept them from succeeding. Unfortunately, after taking a 16 year break in-between studio albums nothing has changed in their new release, titled Slow Summits, other then their discovery of the contemporary sound of a safety-blanket. In many ways this album is a great success, albeit one of simple comforts. Everything about this band (attitude, style, name, lyrics, and of course sound) cajoles us into a warm and fuzzy white imaginary world, full of pastel coloured clouds and cuddling bunnies where the only real danger is falling deeper into its loving arms, never to be seen again. And that’s just how frontman Stephen McRobbie, the only remaining member from their formation over 30 years ago, likes it. You really get the sense that McRobbie is making music for himself (and maybe his grandmother) and just doesn’t give a lot of thought to anything else, as though his response to criticism (positive or negative) might simply be “meh….” If their goal is to make bedroom music for a small but devoted fan-base and they can do it their own way, shambling past all the high-profile producers and labels without even noticing their fist-full of cash, then The Pastels have passed with flying (pastel) colours. If you are in the U.K. check-em out (if not maybe they’ll be heading on tour sometime in the next 16 year before their next album, so keep an eye out). It’s always very difficult to write a review for electronica music. That’s not because of the absolutely gargantuan list of subgenres that fall under the heading of electronica, it’s actually due to the domineering manner in which fans of these genres assert their opinions. Take a swing at someone’s taste and they may fire laser beams back (or just the noise of them, from their favourite techno song) or praise a dj for his ingenuity and you’ll be sent a violent torrent of previous examples of the Speak’n’Spell (Old robot voiced educational toy from the 80s/90s) being used “before it was cool.” Therefore, as is already the risk of any critique, electronica reviews should seldom be taken seriously in order to prevent the outbreak of an all our war, or at least to stop someone from taking home their vintage Casio synthesizer and storming away angrily. With that brief disclaimer out of the way, let’s discuss the fantastically brilliant album The Inheritors, by the horrible British dj James Holden (those cancel each other out to remain neutral, right?). Actually, Holden is quite brilliant, (with no direct reference to the fact that he studies Mathematics at Oxford University) he’s a accomplished producer, superstar dj, and talented entrepreneur. Although The Inheritors is only Holden’s second full-length album, he has released countless remix singles from a plethora of artists and collaborated on other albums with a variety of musicians. This latest release continues to builds off of his previous work, but is notably different in its addition of darker tones. It should be seen as a positive just how different his albums are (and to some degree each track from this album). At heart, Holden is really an experimentalist which marks the reason for the dramatic changes between The Inheritors and his debut from back in 2006. Holden will be playing all over Europe until late in September when he’ll be ‘hopping across the pond’ to play some dates in the U.S. and Mexico. 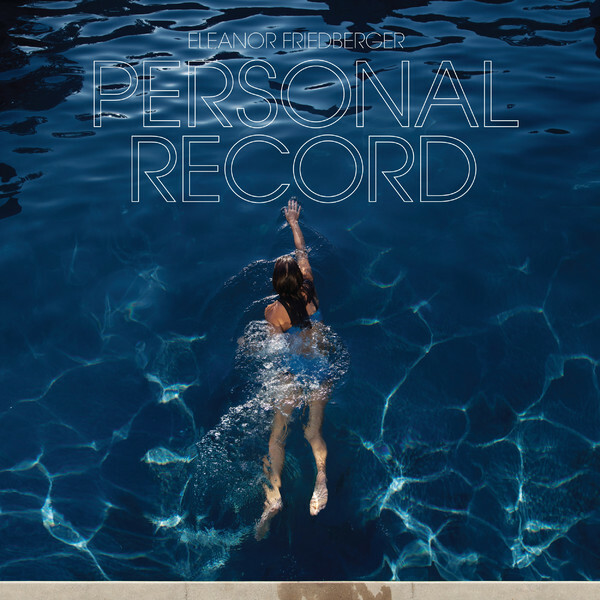 Eleanor Friedberger (one half of the indie band Fiery Furnaces) has recently released her second solo album titled Personal Record (Merge Records). The album is filled with Eleanor’s powerful signature vocals and sounds from the late 70s. Her voice is full with purpose, and yet airy and friendly, most of her songs are easy to merrily skip to. With her superb blend of lighthearted folk and pop it seems surprising that she is not from Portland, and is actually based out of Brooklyn, NY. With the band’s use of electric piano and classic sounds, Eleanor Friedberger would be perfectly comfortable playing shows in the 70s and 80s. Contemporarily though, she sounds almost like a female fronted Herman Dune. Personal Record is 12 tracks of formidably powerful songs, something that is quite refreshing considering it has lately become the new norm for bands to release 9 track albums in which 4 of them are interludes of crap and noise. You can easily tell that Eleanor’s Personal Record is an intimate album both from its title as well as just how individualized it is to the listener. Although the content covers a wide range of seemingly obscure subjects, the songs are all easily accessible and become instantly personalized to whomever is listening at that moment. Because of this one-on-one feeling that you get from the record not only do you really get to know the musician, but by the end you’ll find yourself wanting to invite your new friend Eleanor over for a cup of tea to tell her just how much you’ve enjoyed listening to her new album. She is currently on tour through the U.S. before heading over to Europe in the fall, so if you want to get that cup of tea, don’t miss her on her way through your town. Majical Cloudz is a slow motion car crash that you just can’t look away from no matter how awful you know the outcome will be. More accurately yet, listening to Majical Cloudz is like being in a slow motion car crash, sitting beside an annoying friend who is narrating the events of your life interspersed with religious doctrine from every religion you are the least familiar with. Majical Cloudz is a self-declared astronaut skydiving to the moon with a parachute made of brown paper grocery bags chanting the Hare Krishna mantra. All of these things may be true on some sort of metaphysical level and yet listening to Impersonator (Crystal Math Music records), Majical Cloudz’s second album is really only discomforting due to the degree of expertise and ease with which singer Devon Welsh seems to be able to alter the time-space continuum. The only moment of clarity comes from discovering that this duo hails from Montreal. Impersonator is ten serious tracks that deal with serious issues sung over serious tonal music. Listening to the record one gets the sense that singer Devon Welsh and instrumentalist Matthew Otto might actually be composing the tracks at 160 beats per minute and then slowing them to something closer to 60 bpm. In fact these songs so expertly ease through time that there may actually be a great pop track just waiting to be spead up and spun all weekend long at the dance club. An easter egg hidden in the thick Montreal maple syrup that is this album, perhaps “Bugs Don’t Buzz” or “This is Magic” will be the luckily tracks to break free of the time trap. The album is available on vinyl and therefore ready and waiting to be experimented with. If you are in the mood to slow time, listen to something truly new, or just be cradled by sound while you go through an existential crisis than Majical Cloudz’ Impersonator is for you. If the The Orange Peels sounded any more North Californian, they’d probably have to move to Oregon. This indie-wave-pop band that has just released their 5th studio album (following a coincidentally strict release span of every 4 years) Sun Moon on Minty Fresh Records and Mystery Lawn Music are firmly rooted to their home in the West and it’s very easy to tell. The band and it’s frequently changing lineup (save for singer/songwriter Allen Clapp and bassist Jill Pries) play music that belongs in montage of people hanging out in a sunny park in San Francisco. The Orange Peels have been performing together for almost 20 years and with a new album out every 4 years it becomes quite easy to track their maturation as a band. Rather than sounding older the band has modernized with the times and really progressed with the indie genres they have helped cement. Keeping up with technology is something the band has done quite successfully, not only have they stayed a breadth with evolving sounds but they have also successfully launched and completed a Kickstarter Campaign for the vinyl pressing of Sun Moon. For their latest album, The Orange Peels have mixed up their typical recording style and have begun a much more collaborative phase of their career. Previously Clapp would supply the bulk of material and guide the band towards his vision, on Sun Moon however, many of the songs were written collaboratively with Clapp acting like more a producer and adding lyrics and his signature afterwards. While formatted in a different style the album is unmistakably an Orange Peels’ album complete with their surfy tracks and Clapp’s jittery lyrics. If you were a fan in the past this album will not disappoint, if you are a new listener check out track 7, “Aether Tide”, for a good sampling of what to expect. 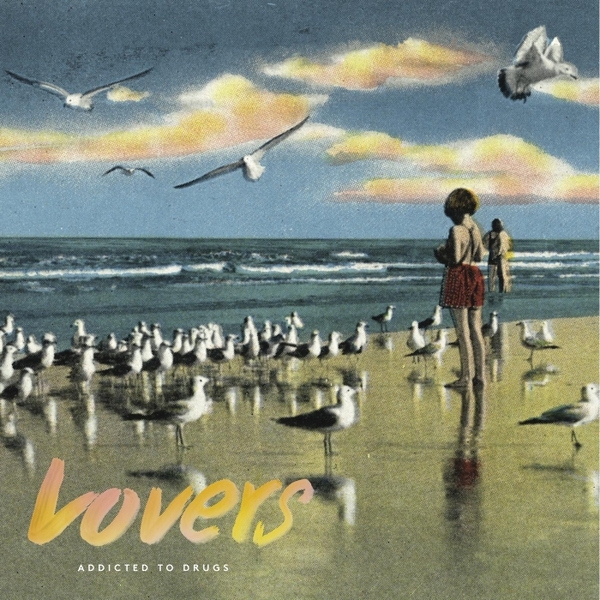 Little Letters (Navigator Records) is the third full-length album from U.K indie pop/folk band Paper Aeroplanes. Although the two piece band (Sarah Howells and Richard Llewllyn) has been playing together since 2005, all three of their albums have been released within the past 4 years. Their sound is a mix of folk and pop with heavy influence being derived from their native home of Wales (in both music and lyrics). With notes of soulful and sorrowful music, Paper Aeroplanes is expertly suited to join you on a long drive across the rainy coast. Many of the tracks are acoustically driven with Sarah Howells’ vocals floating above the instruments, however they often come across as overly simplified and lacking in progressiveness and complexity. They offer a taste of their potential in the title track Little Letters, as it expertly displays Howells’ vocal range and contains a fuller band, lending it a Florence and the Machine feel. Unfortunately Little Letters is really the only home-run on the album, with accompanying vocals and an uptempo beat, it easily outclasses the other tracks. Over the years Howells’ has collaborated with DJ’s contributing her vocals to several trance genre tracks and it is really too bad that she hasn’t transferred some of those vocal experiments into this album. Filled with beautiful piano, slow ambling vocals, and subtle acoustic guitar chords, Paper Aeroplanes have the talent to go places but seriously need to leap off the cliff and begin taking their sound to the next level. Much of their style seems stuck in the 90s, which would surely have seen them at the top, however that level of appealing simplicity is no longer enough to establish a band as truly great. With three full-length albums released in under 4 years, there is hope that such a pace will see the band eventually stumble upon a style and sound that pushes them to the next level and releases them from the shackles of the ‘opening-act’.